Diesel Exhaust Fluid (DEF) is a composition of urea and water used in transportation applications to reduce the amount of nitrogen oxides (NOx) emitted into the air by diesel engines. DEF is a high purity chemical, comprised of 32.5% urea and 67.5% de-ionized water. Diesel Exhaust Fluid is produced to an international standard (ISO 22241). 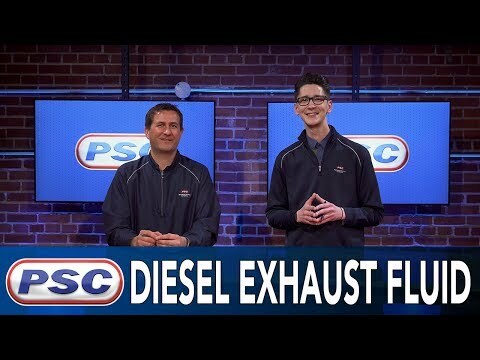 In order to meet the 2010 EPA Diesel Emission Standards to reduce the amount of NOx emitted by diesel engines, several engine manufactures employed Selective Catalytic Reduction (SCR) as an after-treatment technology combined with Exhaust Gas Recirculation (EGR). In order to reduce NOx, Diesel Exhaust Fluid is injected directly into the exhaust upstream of a catalyst. The DEF vaporizes and decomposes to form ammonia (NH3), which in conjunction with the SCR catalyst, reacts with NOx to convert the pollutant into nitrogen (N2) and water (H2O).